Read my reviews on Facebook! I met Michael in 1996 when he still owned Crunchy Music Stuff, and could not imagine a more friendly and personable business owner. Not only did he have a great shop, but was fast (and lasting) friends with every patron in the store. Last year, my wife and I decided to go to Michael when it was time to purchase a larger home. Any time a listing that matched our criteria came available, Michael did not hesitate in showing us. When we finally found the house we wanted, Michael helped us through the negotiation process, and in understanding everything we were unfamiliar with. He makes himself available to clients even after the sale for advice and guidance, which is an added bonus! I highly recommend Michael for ANY real estate needs! Michael helped us purchase our first house about 13 years ago and we still recommend him to others in the area. He was attentive and listened to what we wanted/needed. Michael is an excellent realtor. I was a first time home buyer, in a very unique situation (a first for him I believe) had a lot of questions and he answered all of them. No question was off limits no matter how many times he had to answer the same one differently until I ‘got it’. What I liked about him the most is he was very straight forward, but not intimidating and made sure I was comfortable and taken care of through the entire process. I have and would highly recommend him as your first, or next, realtor. My condo had been listed for almost a year before I signed with Michael. Within a month, he sold my property for nearly the asking price. Working with Michael is a pleasure. He’s honest, reliable, cheerful, hardworking, and cares about his clients, whether buyers or sellers. Over the years, I’ve bought and sold more than a dozen properties and worked with as many Realtors. I can honestly say Michael Driver was far and away the best. I just wanted you to know what a pleasure it was to have recently worked with Michael Driver. I decided a few months ago that I wanted to try my hand at rental property and he immediately started showing me possibilities. He didn’t waste my time on properties that he intuitively knew were not right, and as a result we only looked at four houses before I found exactly what I was looking for. He is knowledgable, ethical, and enthusiastic about his work. I knew I was being well represented when we met one morning with a seller’s agent and a repairman- Michael was right there pointing out items that needed attention, even some things missed by the inspection. He always made himself available to answer my many questions and concerns. I am a very happy customer and I look forward to the opportunity of referring someone to Michael Driver. My husband and I spent nearly a year looking for the “perfect house” with Michael Driver as our Realtor. 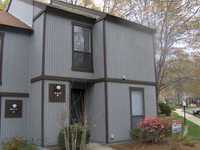 We had to sell a townhouse in another town before we would have money to purchase a home, but we also had to find it. Michael took us everywhere we wanted to go, sent us e-mails when new things within our price range and requirements came on the market, and finally we located a home just under construction that was perfect. Michael prepared the contracts and when we needed to have a few changes made Michael was right there to take care of the amendments. He even met me at the house to check out the progress when my husband was working out of town and couldn’t be there. We added a second, separate garage into the “mix” and though Michael would gain nothing from that he was right there with suggestions and assistance through it all. Since the townhouse had sold we were able to close and move in on our schedule and Michael was at the closing, of course, but appeared on moving day as well to lend a hand for a few hours. This was more than just a job and a paycheck for Michael. He took great pleasure in seeing us completely satisfied in all respects. Once we knew when our new home would be completed we put the townhouse we were living in on the market. We listed it with Michael and he immediately proceeded to take pictures, do the virtual tour, held an “open house”, etc. Since we were in the process of moving he even located someone to clean the carpets for us and replace some vinyl in the bathrooms. The day before closing several minor items came up from the buyer’s inspection, and Michael himself pitched in with my husband to get them done so the closing wouldn’t be held up. This is a young man who truly goes the “extra mile” for his clients – whether he represents you as the buyer or the seller. He is honest and forthright, open and easy to be with, pleasant and never pushy, informed about the area and most things pertaining to building codes and standards, looking at both the good and bad aspects of each house we viewed. He is very professional yet we quickly came to think of him as a part of our family. We can’t say enough good things about Michael and highly recommend him to any and all who are looking to buy or sell a home. I wanted to let you know of our great pleasure in working with Michael Driver on a recent home purchase. We were looking for a home that our son would use while finishing his senior year at UNCG (and, hopefully, graduate school!). We began our search online, using the UNCG zip code. When I noticed one particular property and then many others in the Glenwood area that were listed by Michael, we made contact. Michael was tremendously helpful in providing information about the neighborhoods around the university, listening to our needs for affordable housing in a safe area, and he showed us a variety of listings. It’s obvious he does a good job – we probably drove by six or seven homes where owners that Michael previously assisted waved as we drove by. Once we chose a property, Michael was pivotal in getting the contract negotiated, providing some local recommendations for mortgage companies, electricians, plumbers, and other services that we’ll need over the coming months. We had only a month to close on the house, which was completed yesterday. This wouldn’t have been possible without Michael’s help. He was impressively responsive and helpful throughout the process. You’d think he was negotiating a million dollar contract, but gave us that kind of service for a sale that was less than $100,000. Our son is now in a great home in a nice neighborhood. Michael is a great ambassador for your company – and we wanted to let you know!